SM City Davao is going online! 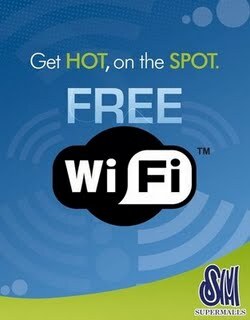 They will be launching their free mallwide WiFi service on Saturday, October 31. All bloggers are invited to join the launch which features a FREE Fun Photoblogging Workshop by the Jojie Alcantara at 10:30 AM at the Cyberzone, 3rd Floor, SM City Davao. Participants should bring their WiFi capable gadgets and digital cameras. To register, comment on the SM City Davao blog post. For inquiries, just leave a comment or call 297 6998 and look for Apple or Princess.